Be careful of strangers bearing gifts, the contract to obtain photos of Ethan MacDonald’s home is too good to be true but Hayley Wolfe cannot resist the lure of money to pay her father’s hospital bills. When a stranger is discovered surveying his compound Ethan is sure it is another attempt by his wife’s family to find and kidnap his daughter Katy. Rather than dismiss her out of turn he decides to interrogate her instead to try and turn the tables on his brother in law. 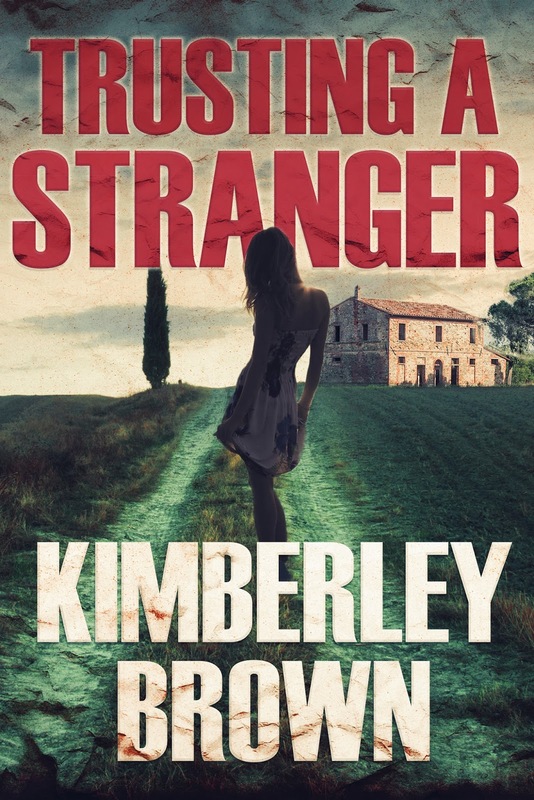 Trusting a Stranger had potential, Kimberley Brown’s writing style is easily engaging with good pacing. What compromised an otherwise intriguing story was a few preventable faults in the plot. We never know why it is so important that the Tomasi family obtain custody of Katy. The villain, Ethan’s sister and other supporting characters lacked any real development and possibly the worst transgression of all was the placement of the love scene. Mid-chase after one’s daughter has been kidnapped I don’t think any responsible parent would stop to make love even when travelling by train. However, these are all errors one would expect from a new writer and as such considering the strengths Ms. Brown displayed in Trusting a Stranger I expect future offerings will be far superior.